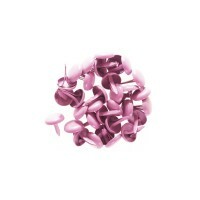 Gelatos are of small sticks of watercolor pigment, acid-free, with a smooth texture. They give good coverage of strong colour. 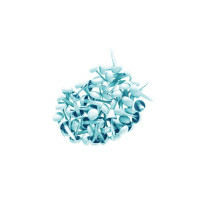 They are mixable with or without water. Use on paper, canvas or wood. You can also use them on your stamps to color and then stamp. 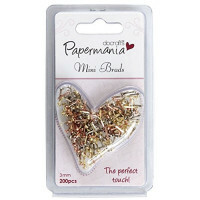 Ideal for Mixed Media and creating original papers. 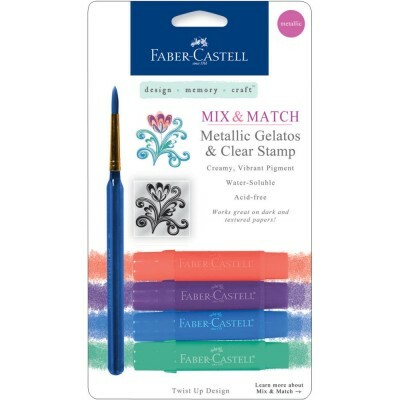 Includes 4 metallic colors, a stamp and a paintbrush. 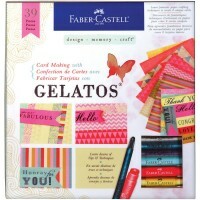 Designing with Gelatos Colour kit. 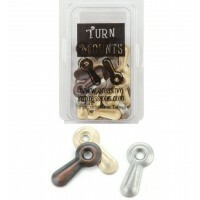 Learn dozens of tips and techniques with this great kit contai..
CREATIVE IMPRESSIONS- Fasteners. 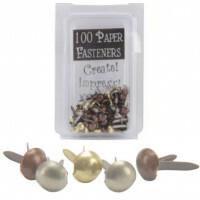 This package contains fifty metal fasteners approximately 7..
CREATIVE IMPRESSIONS- Fasteners. 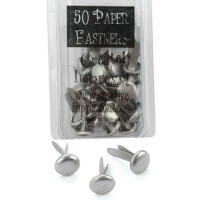 This package contains 50 metal fasteners approximately 7mm diame..
CREATIVE IMPRESSIONS- Fasteners. 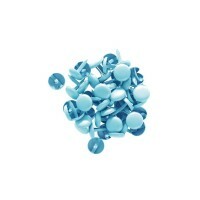 This package contains 100 metal fasteners approximately 3mm.. 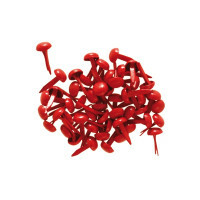 This package contains 50 metal fasteners approximately 8mm diameter. Make: Kesi'art.. 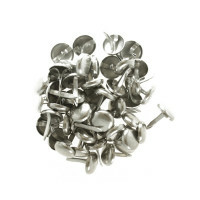 This package contains 50 metal fasteners approximately 4mm diameter. 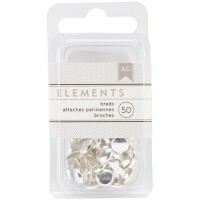 Make: Kesi'art..
CREATIVE IMPRESSIONS -Turn mounts to attach with mini brads (available separately) This package c..
60 Mini brads 4mm diameter by Floriliege..
Paper Mania- Fasteners. 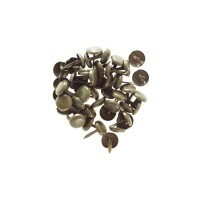 This package contains 200 metal fasteners approximately 3mm diameter..